The NTU lecturers were really helpful and supportive. They were always on-hand if we had any questions or were unsure of something. What do you enjoy most about NTU? "How supportive the staff are! They always have or make time for you, especially if they see you putting in the effort, too." "Don’t put off work and reading (there’s a lot of it!) until the last minute; that’s a sure-fire way to stress yourself out. I’d also say not to put too much pressure on yourself in first year; it’s a chance to see what you can do and get creative with your work without the added pressure of it counting towards your overall degree classification." What did your work with the SPUR programme involve? "I worked on a project that focused on the speech of the two main lawyers in the Brexit court cases. It involved working alongside and meeting with lecturers from both the linguistics and the Law department, as well as a law student, Selina. Selina and I worked together on tasks such as preparing data for analysis, researching what previous studies had found when researching use of discourse markers in courtroom discourse, and presenting the results in poster form." Why did you want to take part in the programme? "I wanted to take part in the project as it was an opportunity to work alongside lectures who are experts in their fields. I knew it would also help me in my third year as it gave me more experience with working on linguistic projects." What did you enjoy most about the project and why? "I enjoyed learning more about the field of forensic linguistics and courtroom discourse. I also enjoyed getting to know the lecturers involved and having the opportunity to interact with them outside of lectures and seminars." What skills do you feel you’ve gained during the project that you will use after University? "I’ve definitely refined my team working skills through this project, but mostly I found the confidence to put my own ideas forward in a professional environment." Did NTU support you during the process? 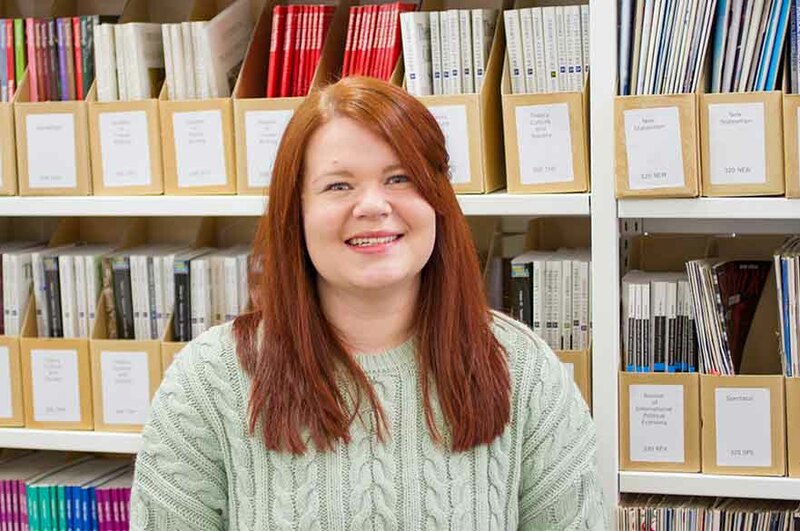 "The NTU lecturers were really helpful and supportive. They were always on-hand if we had any questions or were unsure of something." "I plan to do a master’s degree next year, but I’m yet to decide whether it will be in English or Linguistics! I would eventually like to work professionally in academia."